La Roche-Posay is a brand that has been super popular in the blogosphere for a while now. As most of you will probably know, it's a French Pharmacy skincare range owned by beauty industry giants L'Oreal. The La Roche-Posay Effaclar Duo is probably the best known product from this company and it seems like everyone, except me, has tried it! I've been getting quite curious to try something from La Roche-Posay for a while now and I think that I've chosen a lesser known product from them to review here today. I've not really seen this product talked about on beauty blogs or YouTube so this may potentially be a bit of an exclusive! What makes this foundation seem totally different to me is that it provides higher coverage through a greater level of pigmentation than most other foundations. 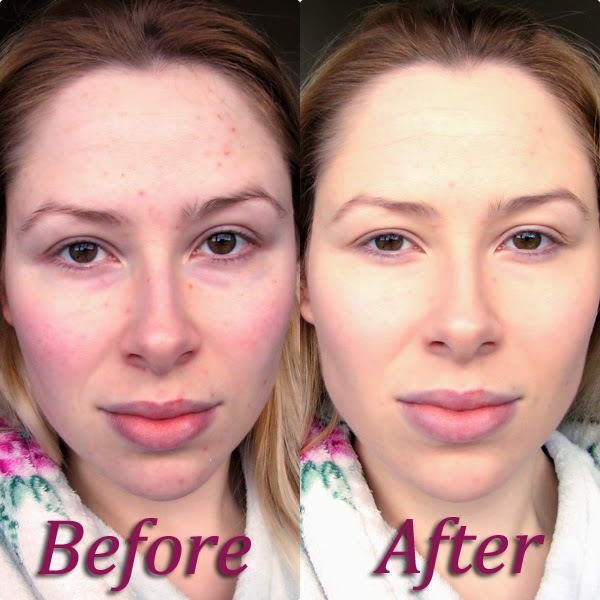 This pigmentation has a corrective effect on the skin, reducing the appearance of blemishes as well as generally evening out and brightening up the look of my skin. The texture is also very unique. Its light, creamy and almost slightly mousse-like! It doesn't feel heavy on the skin or look cakey at all. The finish is dewy and skin-like although it can easily become matte with a little powder on top. 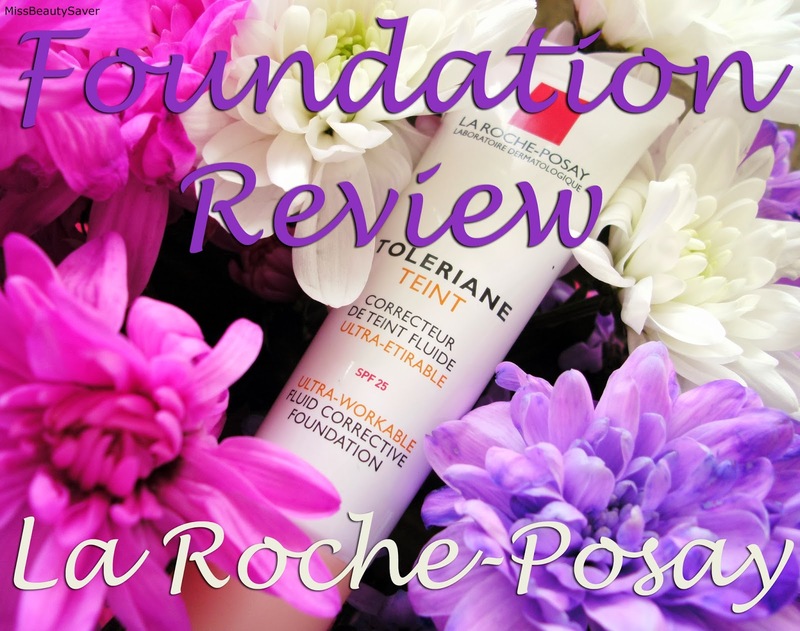 I thought that the La Roche-Posay Toleriane Teint Correcteur De Teint Fluid SPF 25 looked like the kind of foundation I typically like because I prefer medium-high coverage, oil-free liquid foundations and this one seems to meet that criteria nicely! If you have been following me for a while, you may already be familiar with my skin type but for all those who don't know, I have oily / combination skin. After trying out a lot of different foundations, I realized about a year ago that my skin-type is probably most well suited to oil free, water based foundations. The La Roche-Posay Toleriane Teint Correcteur De Teint Fluid is from the Toleriane line and it doesn't contain unnecessary or potentially irritating ingredients (such as perfume) and it is also recommended for use on sensitive skin. My skin isn't usually sensitive so it's not something I normally worry about but it's still nice to know that what I'm putting on to my face will be kind to my skin. The inclusion of SPF 25 is very beneficial and it's especially important now with Summer approaching. La Roche-Posay describe this product as a higher coverage, corrective fluid foundation and claim that it 'improves the appearance of skin imperfections and provides a uniform, flawless complexion'. It is also said to be a 'ultra-workable formula' providing 'long lasting comfort'. This foundation is available in 6 different shades and having very pale skin myself, I automatically chose the lightest shade available which was shade 10, Ivory. This shade isn't quite as Ivory or light as I would like and this creates a slightly unnatural appearance in the same way it would do with any foundation that doesn't completely match your natural skin colour / tone. It also seems to be a warm toned foundation (golden / olive undertones), whereas I have very cool toned skin naturally, but I do like the way that the warmer tones make my skin look a lot brighter and healthier almost instantly. It provides excellent coverage and has the effect of blurring imperfections without using any concealer. It also has a lovely, blendable and buildable texture that is very easy to work with. I like to apply this with my fingers and it very quick and easy to apply that way. This foundation has good lasting power but I always set it with a powder for extra wear time and I usually blot at least once during the day with a blotting sheet as I like to keep the finish looking quite matte. The packaging is very practical and hygienic and I wouldn't mind seeing more foundations coming in a simple squeeze tube like this one! I like this foundation a lot and it feels like an expensive product when in reality it is retails at the same price point as a lot of other drugstore foundations. My usual go-to foundation is the Revlon ColorStay which costs around £12.99 for 30 ml of product where as this is only £1.19 more at £14.18 for the same amount of product. This foundation is available from Farmaline UK who are an online pharmacy stocking a wide range of French Pharmacy skincare. So, if you have ever wondered where you can buy those highly sought after French pharmacy skincare products here in the UK, now you have the answer! What foundations are you loving at the moment?